Huawei are holding a press event next month on the 18th of June, the company is rumored to be launching the new Huawei Ascend P6, and now it looks like we have a photo of the handset from @evleaks. 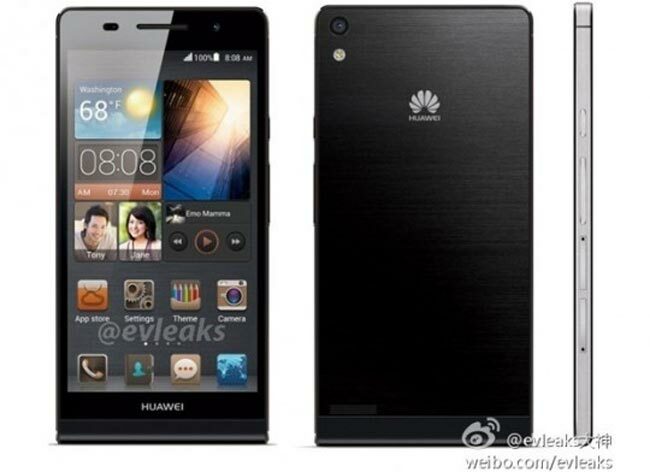 What we heard previously was that the Huawei Ascend P6 would come with a 4.7 inch HD display with a resolution of 1280 x 720 pixels, the device is also rumored to feature a quad core 1.5GHz processor and 2GB of RAM. Other rumored specifications on the handset include an 8 megapixel rear camera and a front facing 2 megapixel camera, it will come with Android 4.1.2 Jelly Bean and will be available in black, white and pink.